North Korea’s latest ballistic missile launch came less than two days before a highly anticipated US-China summit in Florida, theatrically reminding Washington and Beijing what is at stake. What the Trump administration’s next steps regarding North Korea will be is anybody’s guess among Washington’s foreign policy experts at this point, especially when it comes to a possible understanding with China. Trump himself had said that he would deal with North Korea with or without China’s help, avoiding policy details. People familiar with Trump’s thinking are more outspoken. The US is “rapidly and dangerously” edging closer to taking military action against North Korea, Jack Keane, a four-star general close to Trump who declined a role in the cabinet, told the Times of London. The issue appears to be simple: That Pyongyang is determined to develop nuclear weapon as well as medium and long-range missiles. And the solution should be obvious: Following a certain logic, Pyongyang’s giant Communist brother China should be able to exert enough pressure on the North to force it to abandon its nuclear program. Yet, it is unclear whether Beijing has been unwilling or unable to bring North Korea to their senses. As the past several years have demonstrated that the long-standing US demand that China must play the central role in a strategy of expanding sanctions with North Korea may be misguided and unrealistic, said Lori Esposito Murray, an adjunct senior fellow at the Council on Foreign Relations. This reticence is due to China’s fears of a refugee influx it cannot control if the North Korean regime collapses, and its fear of losing a buffer state on its border. China also benefits from North Korea distracting the US presence in Asia, as China’s own presence rises, Murray said. The Korean Peninsula and the whole Northeast Asia have been entangled in complicated interests. Put aside Pyongyang, China, Japan and South Korea are also stuck in deep contradictions with cold relationships with each other. For North Korea to abandon its nuclear ambition voluntarily, it must be convinced the major powers can collectively guarantee its security. But Pyongyang now trusts nothing but nuclear weapons. Despite rounds of sanctions, as long as the regime can hang on, it is unlikely to surrender, experts believe. Washington’s options to tackle Pyongyang alone are very limited. As past US administrations have experienced, piling more sanctions on North Korea are unlikely to impress the erratic regime. If the US resorts to military approach, even without consideration of the reactions of China and Russia, South Korea is very likely to be the first one to break. The top commitment Washington has made to Seoul is security. 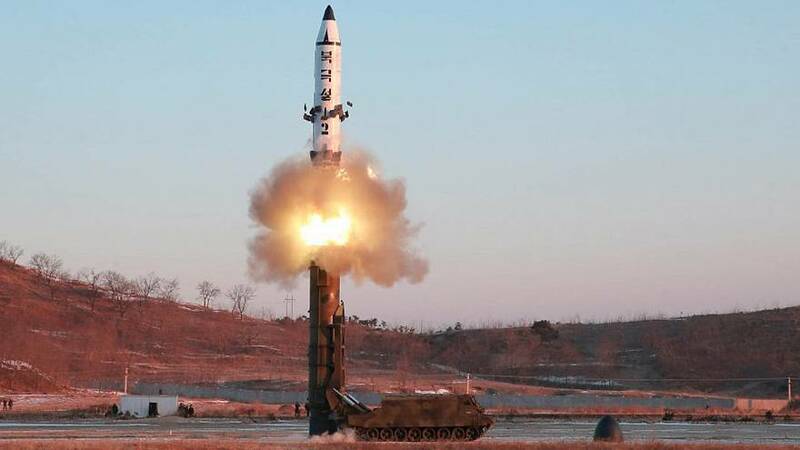 But it’s very likely that an armed strike on Pyongyang will cause a large-scale military retaliation of it against Seoul, thus Washington’s authority will be undermined. There are 25 million people who live in the greater Seoul area and would be at risk if North Korea retaliated for a pre-emptive strike by unleashing the conventional artillery lined up on the Demilitarized Zone, just 30 miles from the South Korean capital. The risk of strikes on Seoul has long constrained any talk of pre-emptive military action against North Korea, and that risk remains today. We’re now waiting to see what approach the Trump administration takes towards North Korea.